1. ONE IDEA TO BE FULLY DEVELOPED. Develop one final idea, through model making, CAD , Sketching. Produce the necessary working drawings to manufacture the product, including parts lists. Keep a photographic record of every stage of manufacture. 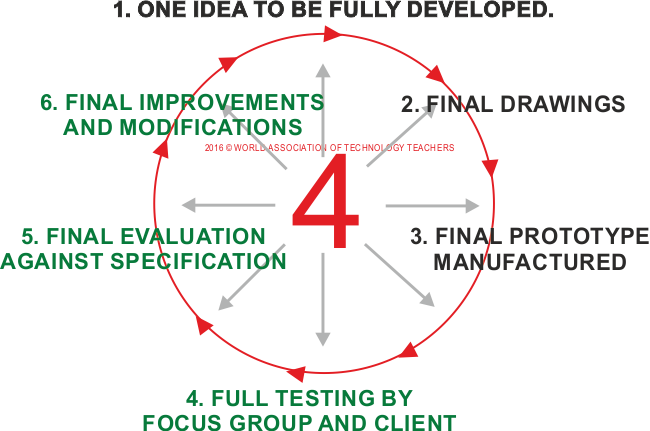 Describe each stage of manufacture and consider how each stage can be made more efficient. The final product should be fully tested by the client / focus group / potential customers and your self. Keep a record of all testing and suggestions. Compare your product against the original specification. Does it meet the specification? What future modifications have been suggested by the potential customers, focus group / client? What modifications do you think you could make to the next prototype ?